The artifact is an 11 X 13 note written and signed by Blessed James Alberione, the founder of the Pauline Family, and one of the most creative apostles of the 20thcentury. The note is in excellent condition with minimal wear. It is a welcome addition to the Papal Artifacts’ Collection of items belonging to or associated with Saints & Blesseds. When the Alberione family moved to Cherasco, in the Alba diocese, the parish priest of St. Martin’s Church, Fr. Montersino, helped young James to reflect on God’s call and respond to it. At the age of 16, James entered the seminary of Alba and immediately met Canon Francesco Chiesa, who would be his father, guide, friend and advisor over the next 46 years. 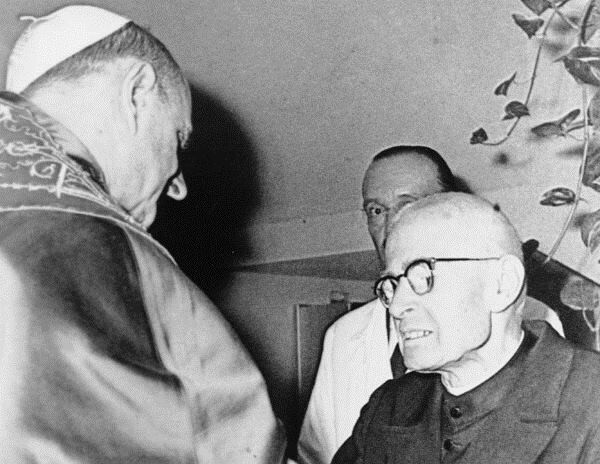 At the end of the Holy Year of 1900, James, who had read and reflected deeply on Pope Leo XIII’s encyclical, Tametsi Futura, underwent an experience that would give direction to the rest of his life. On the night of 31 December 1900, the night that divided the 19th and 20th centuries, he prayed for four hours before the Blessed Sacrament and contemplated the future in the light of God. A “particular light” seemed to come from the Host and roused in him a sense of obligation “to do something for the Lord and for the people of the new century”: he felt “obliged to serve the Church” with the new instruments provided by human ingenuity. On the apostolic level, Fr. Alberione promoted the printing of popular editions of the Bible and used the swiftest instrument of the time—periodicals—to help the message of Christ reach even those furthest away. He had already begun the magazine Vita Pastorale (The Pastoral Life) in 1912 for parish priests. 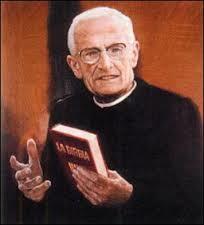 In 1931 he launched Famiglia Cristiana, (Christian Home) a weekly magazine to nourish the Christian life of families. Other periodicals followed: (Madre di Dio) Mother of God (1933), “to reveal the beauty and greatness of Mary to people”; Pastor Bonus (Good Shepherd) (1937), a monthly magazine in Latin; Via, Verità e Vita (Way, Truth, Life) (1952), a monthly dedicated to the teaching of Christian doctrine; (Vita in Cristo nella Chiesa) Life in Christ and in the Church (1952), to help people “get to know the treasures of the Liturgy, disseminate the things that serve it, and live it according to the mind of the Church.” Turning his attention to young people, Fr. Alberione began the weekly children’s magazine, Il Giornalino (The Little Newspaper). Meanwhile, Fr. Alberione’s spiritual “edifice” was growing. He inculcated in his followers a spirit of dedication by means of deeply apostolic devotions: to Jesus Master and Shepherd “Way, Truth and Life,” to Mary Mother, Teacher and Queen of Apostles, and to St. Paul the Apostle. In fact, it was this reference to the Apostle that gave his new institutes their identity as the “Pauline Family.” The goal that Fr. Alberione wanted his sons and daughters to pursue above all was complete conformation to Christ: to embrace the whole Christ Way, Truth and Life with one’s entire being: mind, will, heart and physical energies. This orientation was codified in his small book, Donec Formetur Christus in Vobis (That Christ Be Formed in You) (1932). During the enforced “break” of World War II (1940-1945), Fr. 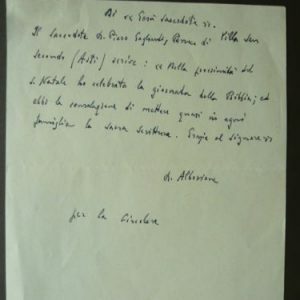 Alberione did not suspend his spiritual itinerary but continued to embrace the light of God more and more, in a climate of adoration and contemplation. Witness to this can be found in the Founder’s spiritual notebooks, in which he jotted down his inspirations and the means he adopted to correspond to the plan of God. This spiritual milieu nurtured the meditations he guided every morning for his sons and daughters, as well as his directives for the apostolate and the numerous retreats and courses of spiritual exercises he preached (the conferences of which were collected together into various volumes). Fr. 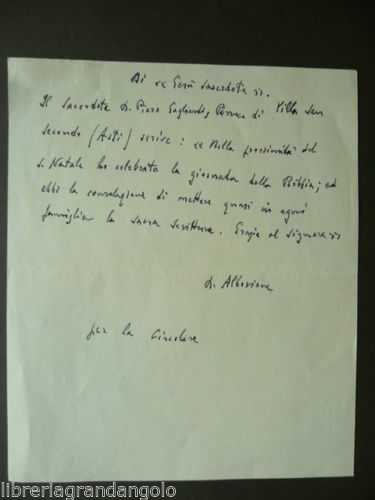 Alberione’s primary focus remained unswerving: to help everyone understand that “the first concern of the Pauline Family should be holiness of life; the second, holiness of doctrine.” It is in this light that he forged ahead with his Project for an Encyclopedia on Jesus Master (1959). In 1954, to celebrate the 40 anniversary of foundation of the Pauline Family, Fr. 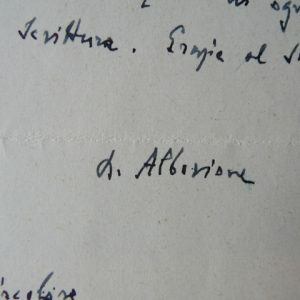 Alberione for the first time allowed something about himself to be written down (the material appears in the book Mi protendo in avanti – “I Strain Ahead”), and he also complied with the request to jot down some thoughts concerning the beginnings of his foundations. Thus came into being the small book, Abundantes divitiae gratiae suae, “a charismatic history of the Pauline Family.” This Family was completed between 1957-1960 with the foundation of a fourth feminine Congregation, the Queen of Apostles Institute for vocations (Apostoline Sisters), and several secular institutes for the consecrated life: St. Gabriel the Archangel, Our Lady of the Annunciation, Jesus Priest, and the Holy Family. Ten institutes (including the Pauline Cooperators), united by the same ideal of holiness and apostolate: to bring Jesus Christ Way, Truth and Life to the world through the instruments of social communication. From 1962-1965, Fr. 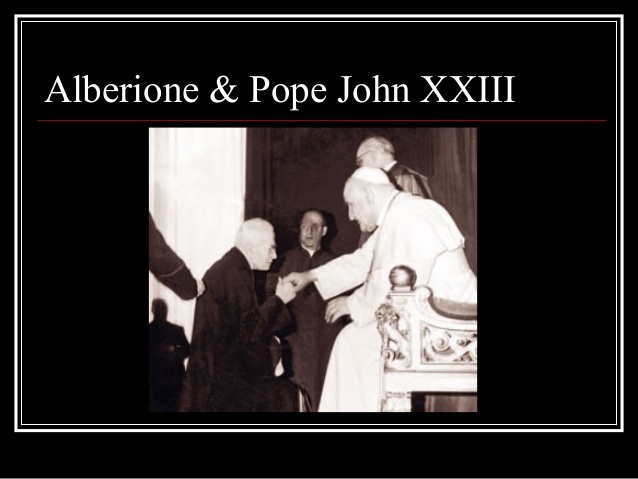 Alberione was a silent but attentive protagonist in Vatican Council II, attending its sessions daily. But at the same time troubles and sufferings were not lacking: the premature deaths of his first collaborators, Timothy Giaccardo and Thecla Merlo; worry for the Pauline communities abroad that were going through difficulties and, on the personal level, an excruciatingly painful condition of scoliosis that tormented him day and night. 1. “Give thanks to the Lord for he is good, his love endures forever (Ps 117: 1). This is what the Church sings today on this Second Sunday of Easter, Divine Mercy Sunday. In the Paschal Mystery, the comforting design of salvation, God’s merciful love whose privileged witnesses are the saints and blesseds in Heaven, is fully revealed. By a providential coincidence, I have the joy of raising six new Blesseds to the honours of the altars on this very Sunday on which we celebrate the “Divine Mercy”. Each one of them, in a different way, expressed the Lord’s tender and wonderful mercy: James Alberione, a priest, Founder of the Pauline Family; Mark of Aviano, a priest of the Order of Friars Minor Capuchin; Maria Christina Brando, virgin, Foundress of the Congregation of the Sisters, Expiatory Victims of Jesus in the Blessed Sacrament; Eugenia Ravasco, virgin, Foundress of the Congregations of the Daughters of the Sacred Hearts of Jesus and Mary; Maria Domenica Mantovani, virgin, Co-Foundress of the Institute of the Little Sisters of the Holy Family; Julia Salzano, virgin, Foundress of the Congregation of the Catechist Sisters of the Sacred Heart. Bl. 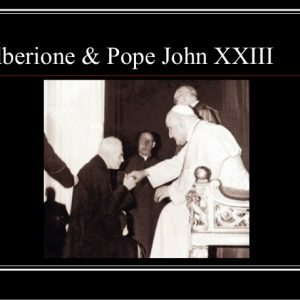 James Alberione felt the need to make Jesus Christ, the Way, the Truth and the Life, known “to all people of our time with the means of our time”, as he liked to say. He was inspired by the Apostle Paul, whom he described as a “theologian and architect of the Church”, remaining ever docile and faithful to the Magisterium of the Successor of Peter, a “beacon” of truth in a world that is so often devoid of sound spiritual references. “May there be a group of saints to use these means”, this apostle of the new times was in the habit of repeating. What a formidable heritage he left his religious family! May his spiritual sons and daughters keep intact the spirit of their origins, to respond adequately to the needs of evangelization in the contemporary world. Fr. Alberione lived to the age of 87. Having completed the work God had entrusted to him, he left this earth on 26 November 1971 to take his place in the house of the Father. 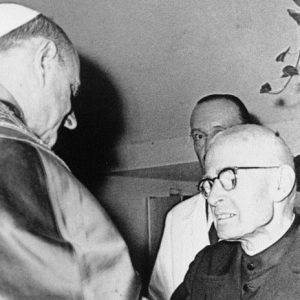 In his last hours, he was comforted by the visit and blessing of Pope Paul VI, who had never hidden his admiration and veneration for the Founder. 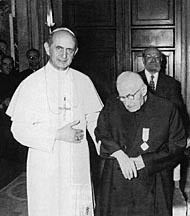 In fact, in an audience with the Pauline Family on 28 June 1969, the Pope spoke the moving words (featured above) about Fr. 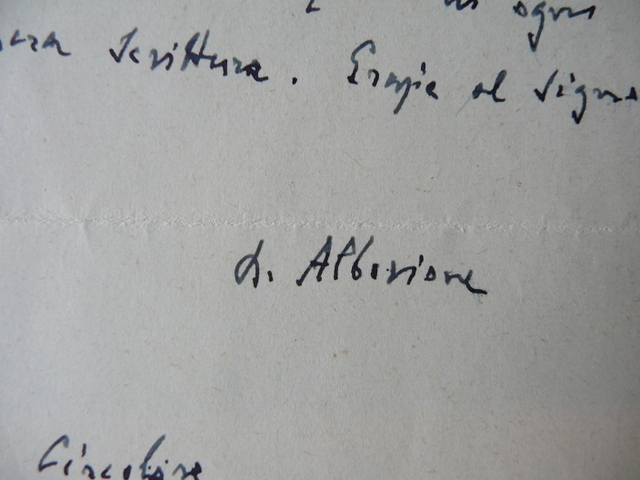 Alberione, who was then 85 years old.